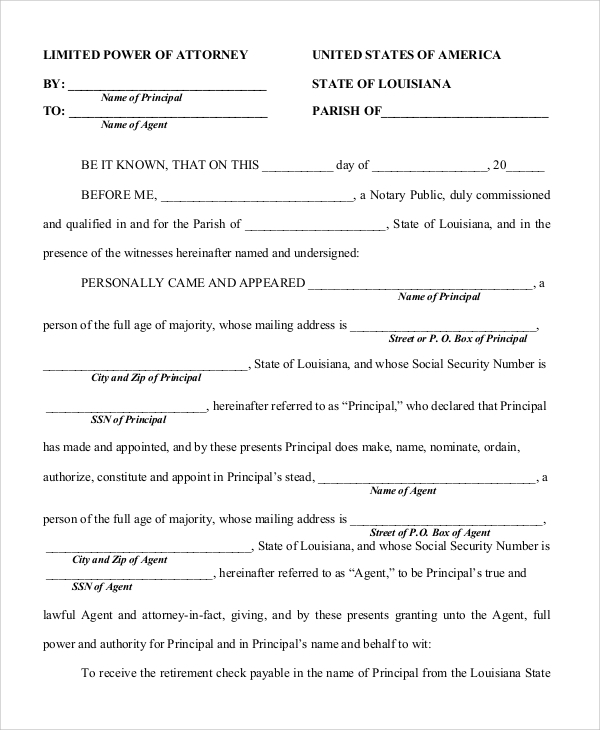 An attorney form is a legal document that enables an agent to act after an attorney entitles it with limited powers to do so. 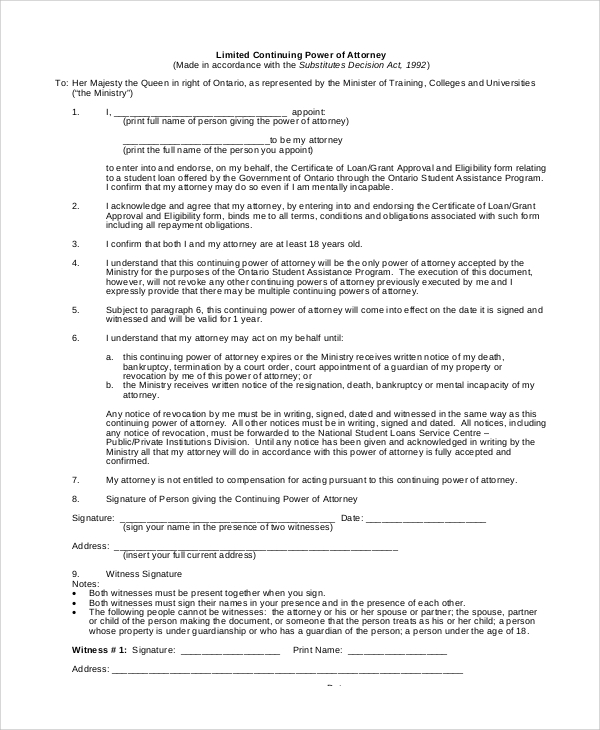 There are different types of Limited Power of Attorney Form that is used in various departments. If you require drafting such a document, you can check out these Sample Forms and conceptualize an idea about how it works out. 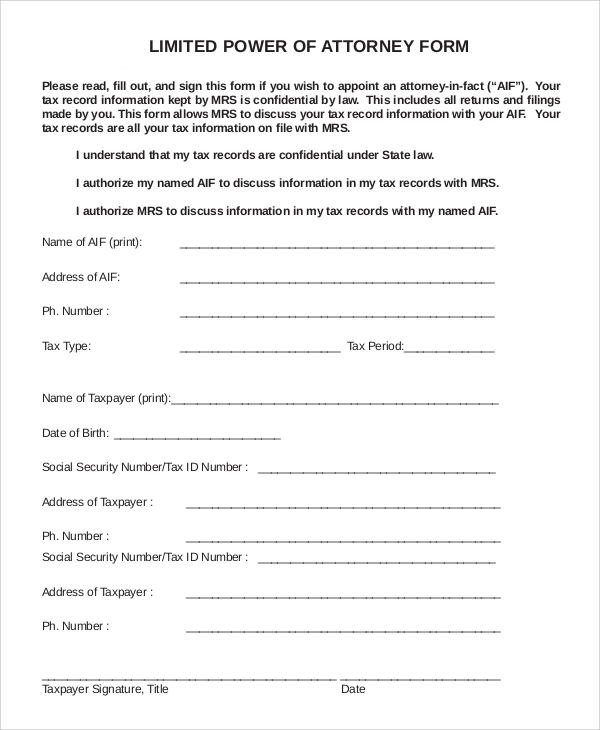 You can also see the details that are included in these forms. There are four distinct sections here, including the names and details of the persons involved, details of the agreement and the formal signs and seals. There are blanks to be filled up with the necessary information here. The name of the country where the Sample General Power of Attorney Forms takes place is written at the top. Then the names of the persons between whom the agreement takes place are included. There is a witness who oversees the agreement signs the document. 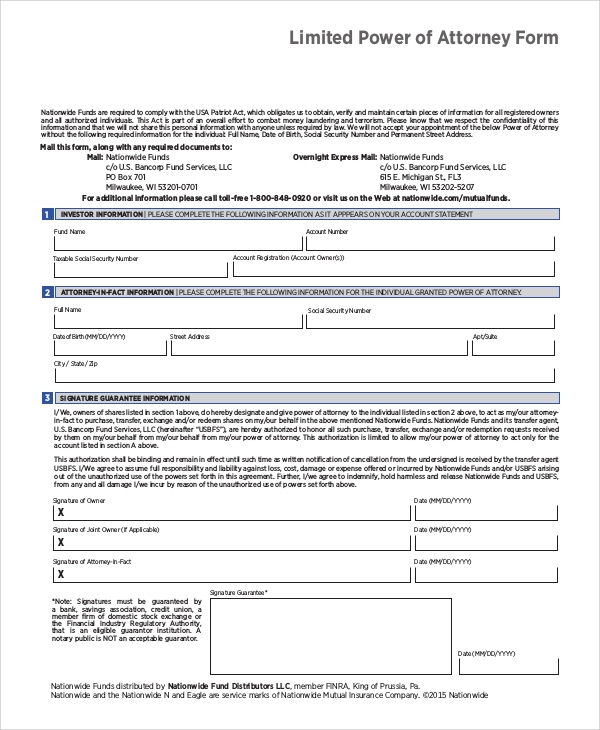 These forms are used in the case of investment. The details of the persons involved in the agreement are included in the form. The document can bear a particular seal. When there is an agreement of power distribution between an attorney and another agent, it is important to keep a written record of it. These forms include the terms of the agreement. It contains all the details of the persons involved in the agreement, and it focuses on limiting the power of the agent in some specified areas. The timeframe is an important element in these Limited Power of Attorney Forms. Sometimes, these are signed on behalf of a person to entrust an agent to shoulder the business. When the principal person associated with the business is absent, he can entrust a reliable person to do the necessary signatures or carry on with the business on his behalf. 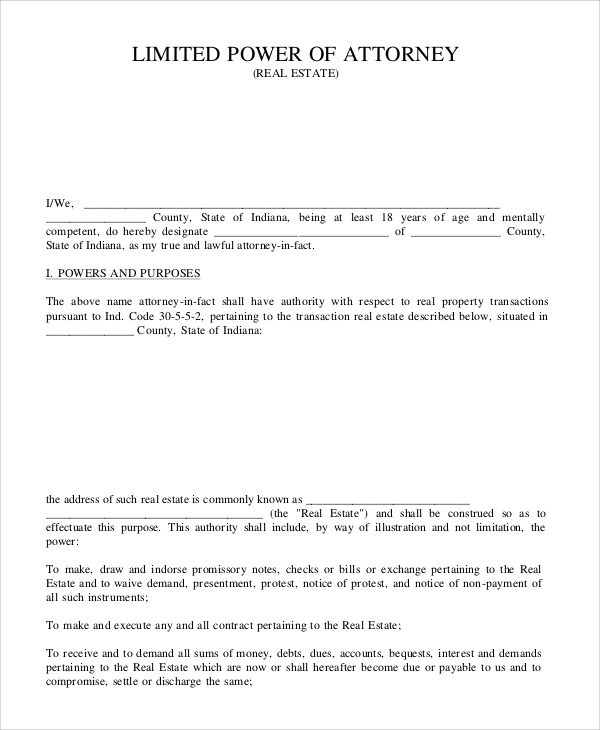 People associated with the real estate can use these forms. The statement of declaration is written by the first person. Then the powers and purposes are included in the document. The date of termination of the agreement is specified here. 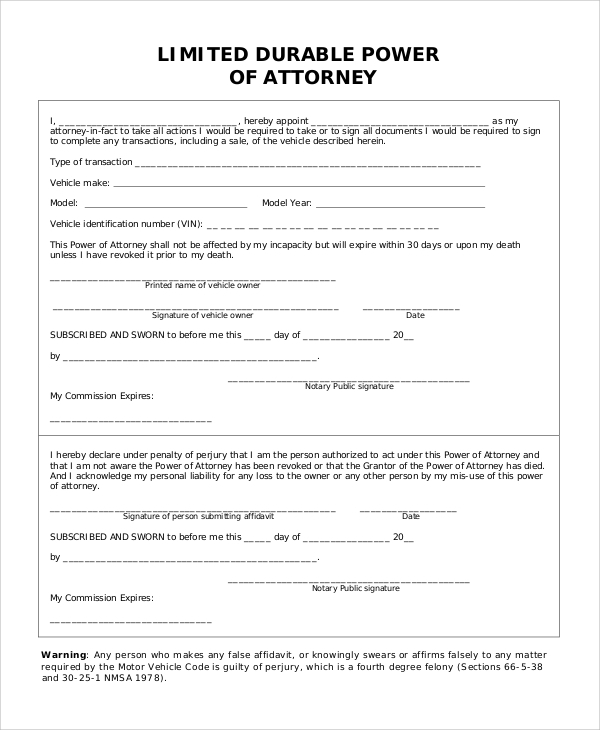 These Sample Durable Power of Attorney Forms are used by professionals in the automobile industry. 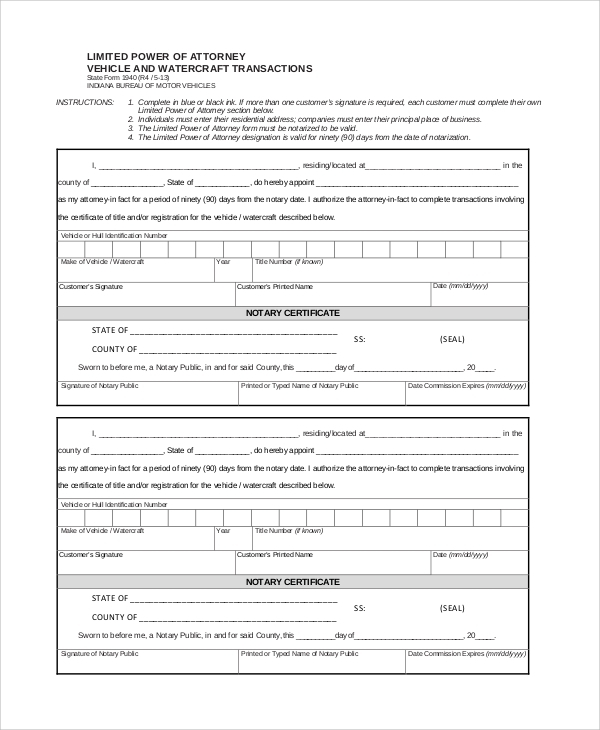 The details of the concerned vehicle are included in the form. Other terms of agreement and dates are also included here. 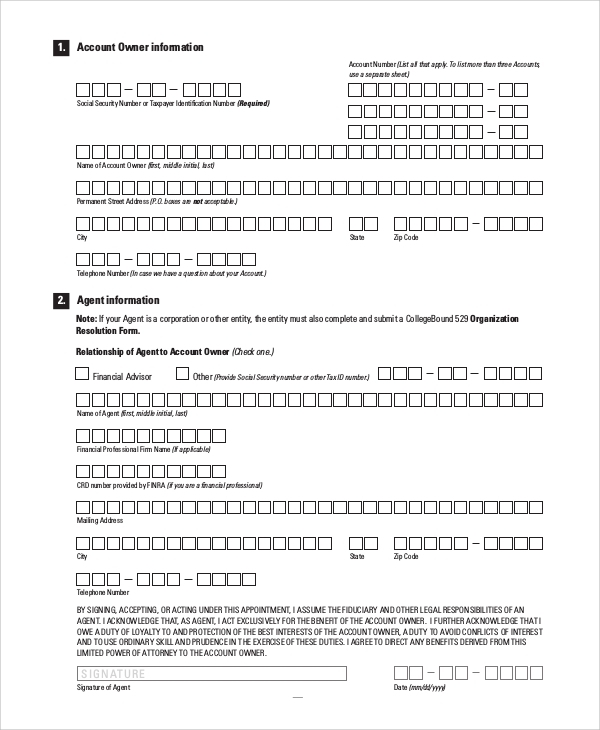 What Information should be Included in these Forms? In the document, all the relevant details of the concerned persons are included with accuracy. The first part of the document contains the name, address, contact information and other personal details of the account owner. In the next stage, the information about the agent is included. The relationship between the owner and the agent is clarified in the form. Next, the document contains the terms of the agreement. If there are bank accounts involved in the agreement, the account numbers are to be mentioned in the form. The declaration and signature are placed at the bottom. 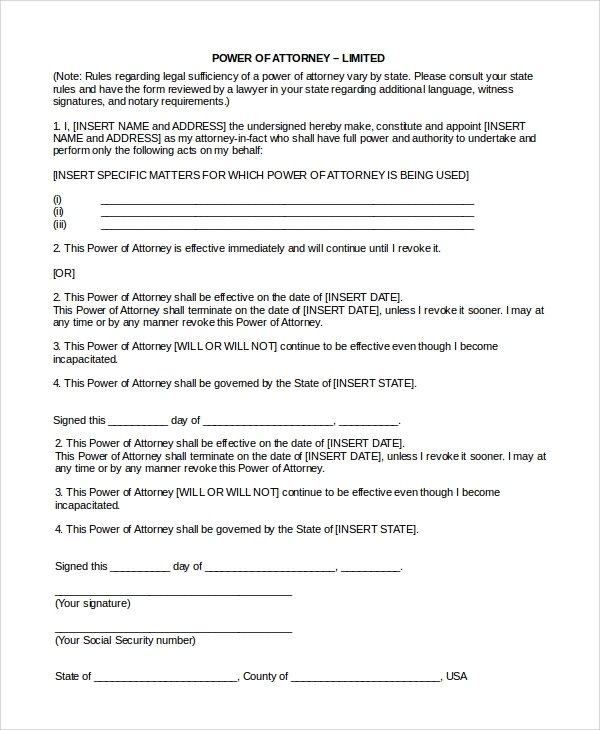 There Sample Power of Attorney Forms is a space for the official seal as well. 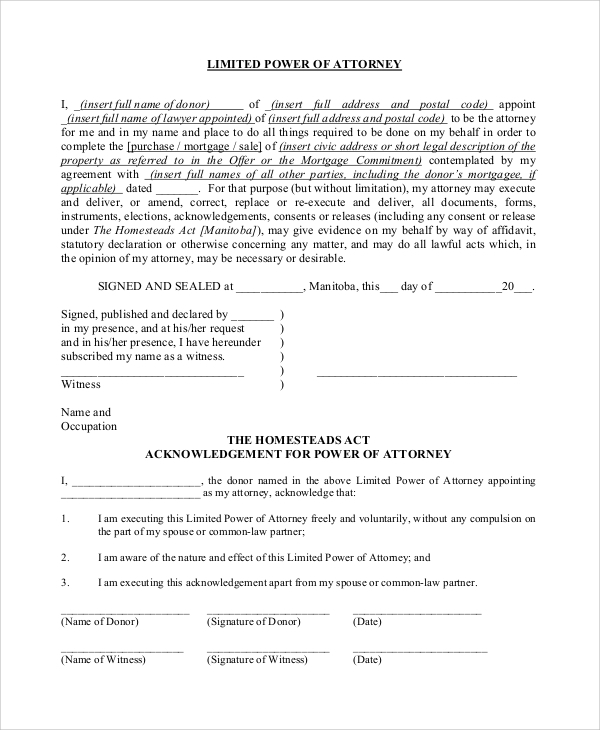 The power of attorney forms can be of various types, like Medical Power of Attorney Forms and Blank Power of Attorney Forms. You can use the format of Power of Attorney Forms given in the website and draft your documents. All the possible variations of the documents are included in the website, and you can browse them as and when you need.